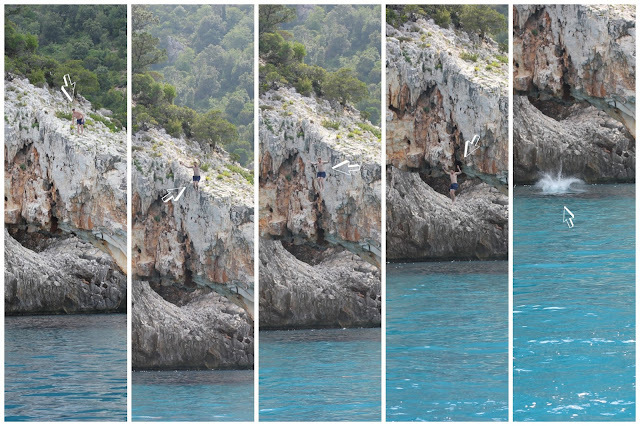 Life in Technicolor: Sardinia Part 2! 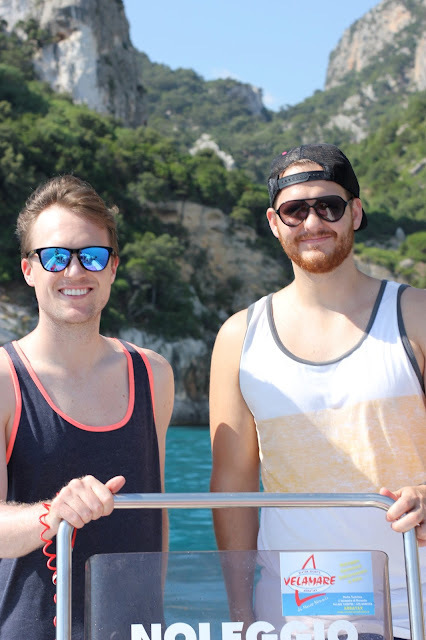 JP and Eric decided that we needed to rent a boat, despite the fact that neither of them have really any experience driving a boat... especially in the mediterranean sea... but that didn't deter them! And the man who rented us the boat didn't seem to mind either...? So needless to say we found ourselves sailing the open sea with JP and Eric as captains and Kimmi and I sitting in the front slightly terrified. It was totally worth it though! Especially because we didn't die. We dropped the anchor down whenever we found a beach we wanted to lay out on, and went swimming in the crystal clear water whenever the sun got too hot. It was magic! ^^^ JP jumped off a 40-50 foot arch! Craaaazy boy. Okay, you're right! This is amazing!! SO much fun you look so gorgeous! That looks like a total BLAST! you're making me so jealous i'm dying.